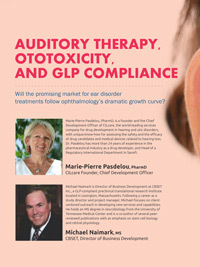 Several promising drugs and devices are currently in development for improving the lives of more than 360 million people suffering from hearing loss, the majority of which are suffering from conditions for which regulatory agencies recognize no efficacious therapy. 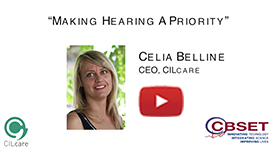 CBSET and the auditory specialists at CILcare have created a strategic alliance to offer drug and device developers cutting-edge preclinical services for the evaluation of auditory functions in a regulated GLP environment. How to evaluate auditory safety? Auditory Brainstem Responses (ABR) are electric potentials recorded from scalp electrodes. 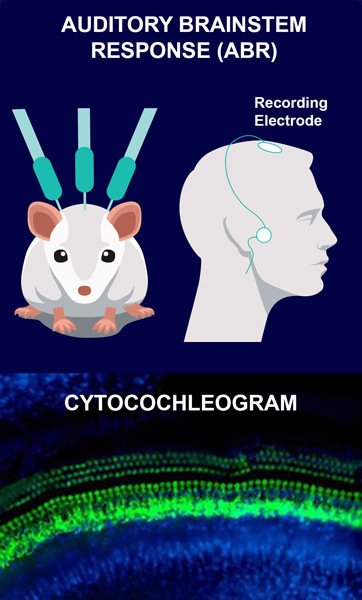 This non-invasive method allows determination of auditory response thresholds. It is translational between rodents and humans, and is commonly used for screening newborns. The cytocochlelogram allows histopathological assessment of ototoxic damage on inner hair cell and outer hair cell of the cochlea, with anatomical localization corresponding to predicable patterns of functional deficits. 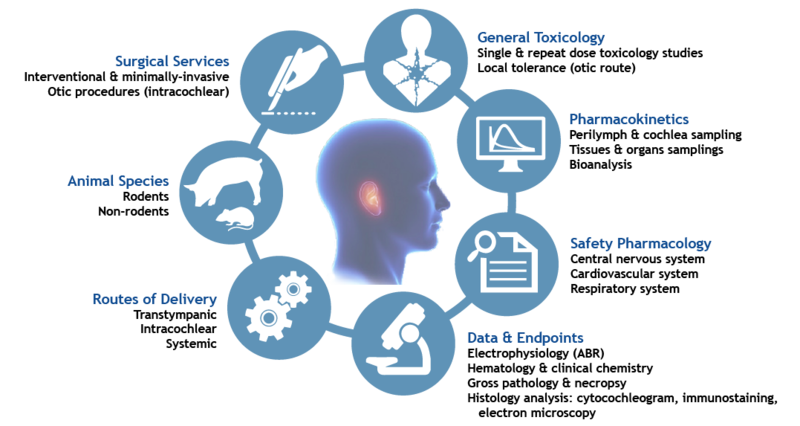 CBSET and CILcare combine scientific excellence in otology with experienced, GLP-compliant, preclinical experience to reduce risk in your regulatory filings. From general toxicology studies to surgical services, our team has the capability to customize a full preclinical program in line with your IND approach and project milestones. 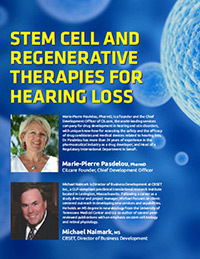 The collaboration between CBSET and CILcare creates a highly experienced team offering complex transtympanic and intracochlear drug delivery methods, which limit systemic exposure and provide robust, reproducible data in support of your ototoxicity or auditory function program. 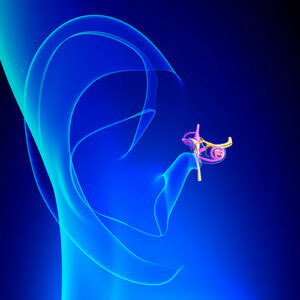 Watch: A focus on new treatments for hearing loss. 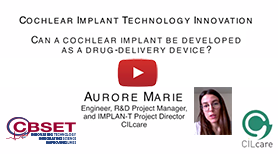 Watch: A perspective on cochlear implants for drug delivery.